A safe worker is a productive and profitable one for their employer as well as their self. 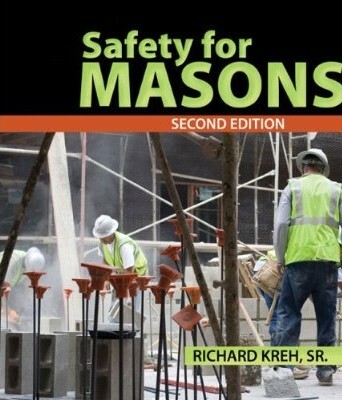 With a focus on accident prevention, Safety for Masons, 2nd Edition is a valuable resource that demonstrates safety practices important for a masonry career. 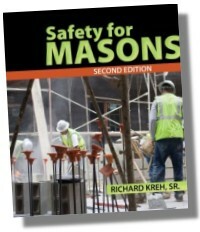 This book is organized in a systematic progressive order that will walk you through job safety situations as you will most likely come in contact with them in learning the masonry trade. Unit 1. A Clean and Safe Shop Environment. Unit 2. Personal Protection Clothing and Equipment (PPE). Unit 3. Handling and Storage of Materials. Unit 4. Masonry Hand Tool Safety. Unit 5. 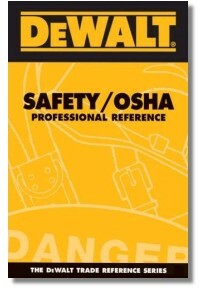 Power Tools and Equipment Safety. Unit 6. Scaffolding and Ladder Safety. Unit 7. Hazards and Specific Safety Risks.